USPS Early Retirement – Are You Eligible for VER? The Voluntary Early Retirement (VER) recently announced for eligible Clerk Craft employees by the Postal Service has generated many questions from the Federal Postal Employees. The Postal Service published a list of 93 questions and answers shared with our members in an earlier Web article. 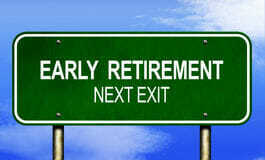 Many are asking, “Should I accept early-out retirement?” It is not our place to give advice on whether to retire or not. That is a personal or family decision. However, it is decision with implications that the employees should know and consider and also know all the facts about this VERA. When a Federal Agency wants to reduce their staff, they can request for a VERA commonly known as Voluntary Early Retirement Authority from the Office of Personnel Management before they can restructure their workforce. Instead of employee layoffs, the agency send out offers to certain eligible employees. These employees are typically the ones that will generally be retiring in a few years anyway, but offers them to retire early without any penalties. if the Postal Service moves forward with misguided plans to reduce the workforce, the Postal Service should offer a monetary incentive for those eligible for regular retirement as well employees eligible for an early-out. If you are eligible for the VER, the USPS will be mailing you a packet on January 12th. The packet will have vital information about your opportunity for an early-out. The packet will include your annuity estimate (this is not a guarantee of what your annuity payments will be; OPM makes the final determination of your annuity, and it could be different than the estimated amount provided in your packet) and information about available benefits including eligibility, limits, and costs. Anyone considering the early-out offer needs to study the packet very carefully and or Request a Federal Retirement Review with a Federal Retirement Consultant to learn more about all of the aspects of your USPS early retirement. Take advantage of every opportunity to learn the specifics about your retirement benefits. As of now there is no financial incentive to retire early, unlike the 2009 and 2012 VERAs, where incentives were negotiated with the APWU. The Postal Service estimates that only 1,712 of the 10,522 APWU represented employees will accept the VER. If you are an employee covered by CSRS, you will have your annuity reduced by 2% for each year you are under age 55. If you are covered by FERS, you will only earn 1% of your salary as an annuity for each year worked (e.g. if you worked 20 years, your annuity will be 20% of your high-3 average salary). If you are under the Minimum Retirement Age (MRA), you will not receive the Social Security Supplement until you reach the MRA. Find your MRA using this OPM Chart. FERS is a three-legged stool: a modest annuity, social security, and retirement savings in TSP. If under normal conditions, you retire after reaching the MRA but are not yet eligible for Social Security, you receive an “annuity supplement” to provide that social security leg until you reach the age of sixty-two (62) An “early-out” is different; so, for example, if you are age 50 and your MRA is 57 you will not receive the supplement until you turn age 57. With a USPS early retirement you can’t make additional contributions to TSP or receive employer contributions as you would with continued employment. Make your decision on complete and accurate information about your retirement benefits. Postal management has verbally committed to the union that they have no intention of capping the number of employees who can take this VER offer, so there should be no need to rush your decision. Schedule your appointment early that way you can make the correct decision if it is to Retire or keep on working until you do retire.